Make Up remover hasn't be easy for us. Especially if you apply make up everyday, make up remover has been a important beauty regimen for us. You might think that removing is just only a mere important step sometimes we might be skipping that step and focus on our daily cleansing and applying skin care product. Yet this important step leave our skin fresh and clean! Make up removal removes away cosmetics, impurities and dirt from the surface of your skin, which could lead irritation or cause you skin to age more rapidly. 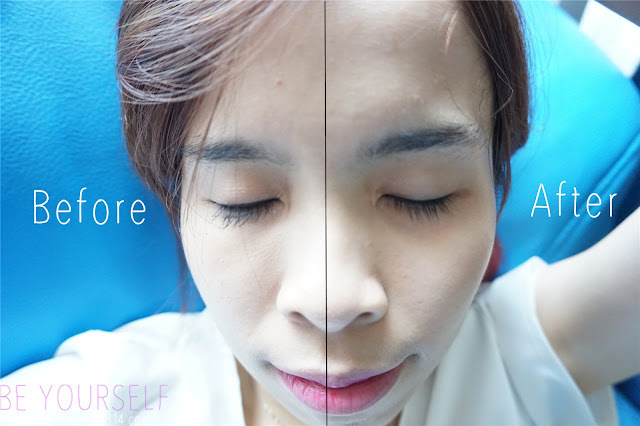 Choosing a right and suitable make up removal is also to one of the key to leaving you skin fresh and clean. SkinSoul Ultra Soft Towelettes that contains many natural active ingredients can remove our make up and waterproof make up thoroughly and leaving you skin fresh and light texture after using it! It formulated with Swiss Glacier Water with 4:4:3 that is 4 Essential Oils, 4 Antioxidants, 3 Hydrating and Soothing Ingredients in 1 packet of goodness. Not forget the packaging was a big packet that contains 60 wipes. It was my first time seeing such big pack of make up towelettes. Easy pull out and secure sticker sealing. My light make up of the day as I didn't bring sufficient make up products with me that day. 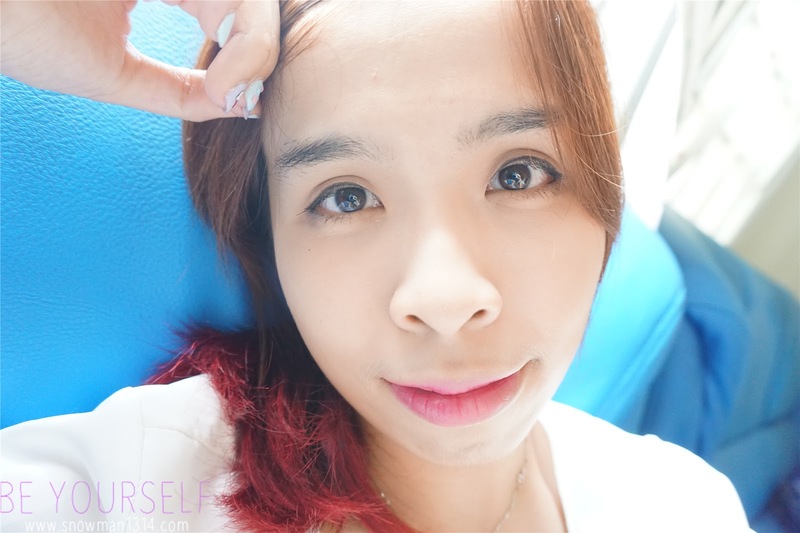 With only Etude House Lock N Summer Precious Mineral Any Cushion, Maybeline Eyeliner Pen, SkinSoul Natural Volume Attack and Laneige Duo Tone Lipstick. 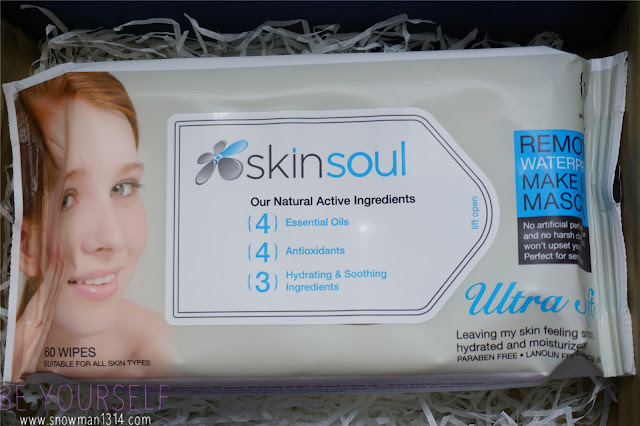 Do a comparison of SkinSoul Ultra Soft Facial Towelettes to my face. In love with this big packet of facial towelettes. The opening of this pack is not that big and its secure by the sticker lid. So that you could keep using it daily. See how big is their facial towelettes. I'm not sure about you guys but it was my first time heard about towelettes. Towelettes is a disposable cloths treated with a cleansing agent, typically supplied in a sealing package. To my surprise SkinSoul Ultra Soft Towelettes coverage is so big until it can cover up my face when I open it out. I always love to fold it up to half when I'm using towelettes to remove my make up. I love it's smell too, it smell really fresh and nice, not heavy smell with any alcohol. With 1 SIMPLE WIPES it can remove all water-proof make up and clogging impurities instantly! My eyeliner and waterproof mascara were removed. I can feel my skin fresh and clean but not dry after using SkinSoul Ultra Soft Facial Towelettes. 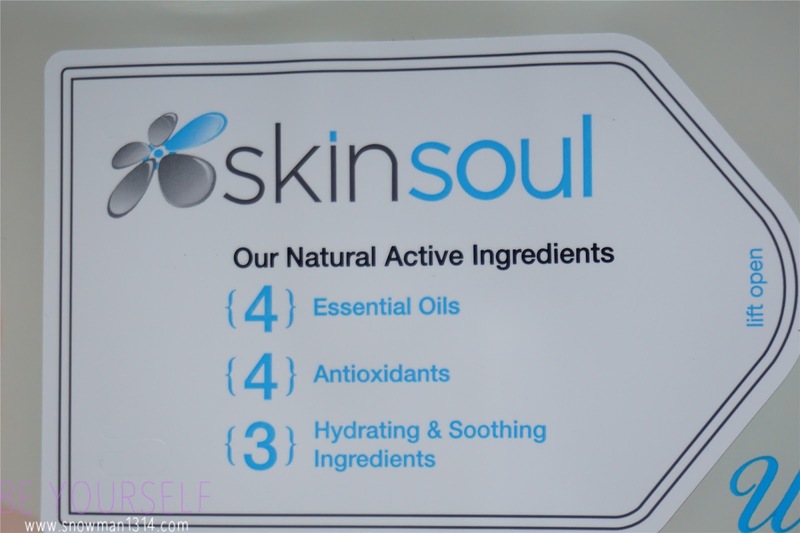 After remover, my skin feels fresh and cleaner after using SkinSoul Ultra Soft Facial Towelettes. It doesn't leave make up stain and heavy residue or over drying my skin! 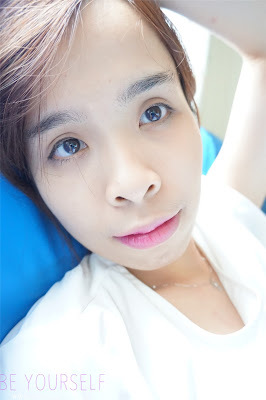 I feel my skin smoother and softer without worry about any pore clogging impurities and irritation for my skin. It was perfect for Sensitive Skin because SkinSoul Ultra Soft Facial Towelettes have No Artificial Perfume, Color, Harsh Chemicals are added and Paraben Free. Ta-da My after remove Facial Towelettes. What makes a Facial Towelettes Best Ever and An All Time favorite? 1. It takes off everything in one swoop includes waterproof mascara and stubborn make-up. 2. It would not clog your pores. 3. It would not leave make up residue on your beloved pillowcases. 4. It does not irritate your skin or eyes. 5. Good for acne prone and ultra sensitive skin; Friendly to all skin type. 6. Not harsh or over-drying your skin. 7. Not Greasy, not oily, not soapy and it does not sting. 8. Skin is fresh, cleansed, hydrated, calmed, smoothed, lifting and moisture after used. 9. No Artificial Perfume, Color, Harsh Chemicals are added and Paraben Free. 10. It is simple, easy to and convenient to use just in 1 Simple Wipe! Conclusion is it was super convenient and easy to remove make up now with SkinSoul Ultra Soft Facial Towelettes. Because in just Just 1 Simple Wipes, you can removes your make up, waterproof make up without causing any pore clogging, make up stain, dirts and irritation on your skin. I love how it was user friendly for skin type without any harsh and over drying to your skin. Since most of SkinSoul product is 100% Paraben FREE + Lead FREE I believes that SkinSoul journey is able to regain your skin's beautiful, youthful radiance. 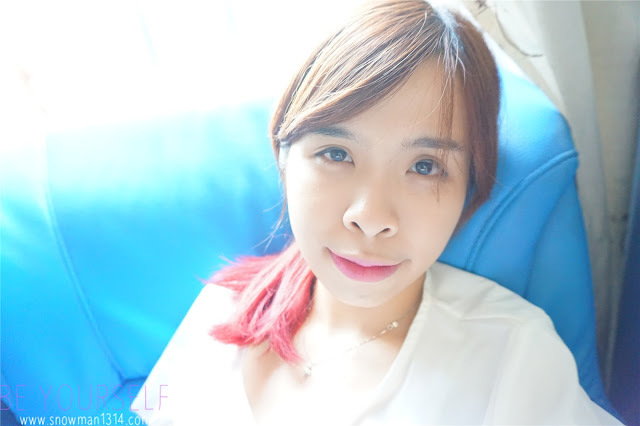 Did you guys still remember some of my readers privileges you could get if you follow my SkinSoul journey. I like this wipe tissue. Really helping me remove my eyeliner and mascara! 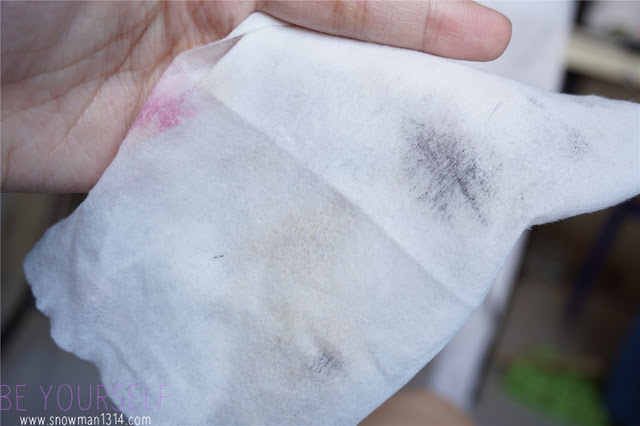 I would loveeee to try their makeup remover sheet, simple and effective at the same time!